Starting next month, the theater will glow at night, illuminated by light reflecting against the cluster of bright columns. Steven Chilton Architects designed a forest of white columns around the Wuxi Show Theater in China. Inspired by the iconic Sea of Bamboo national park, the screen of angled pillars surrounding the circular building constitutes a breathtaking feat in structural design. Opening in December 2019, the newly renovated theater will provide a permanent home for Belgian theatre director Franco Dragone’s groundbreaking show, The House of Dancing Water. By framing the theater’s entrances, the angled columns connect to a canopy of gold anodized aluminum louvers. The elegant louver system braces the slender column tops. This transfers the weight to the main structure while conceptually forming the “leaves” at the top of a bamboo grove. Read the full article on Archdaily.com. Find tickets and more info on Dragone’s The House of Dancing Water here. 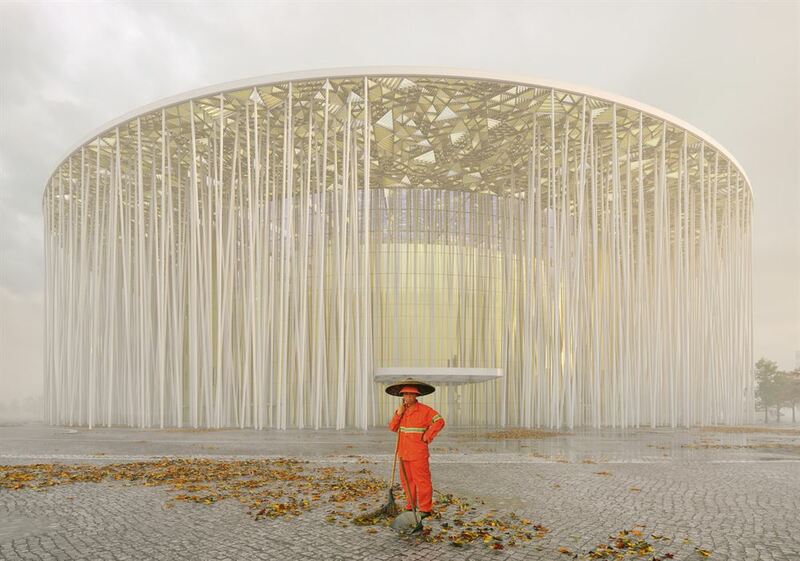 A worker takes a break from sweeping leaves in front of new Wuxi Show Theatre. 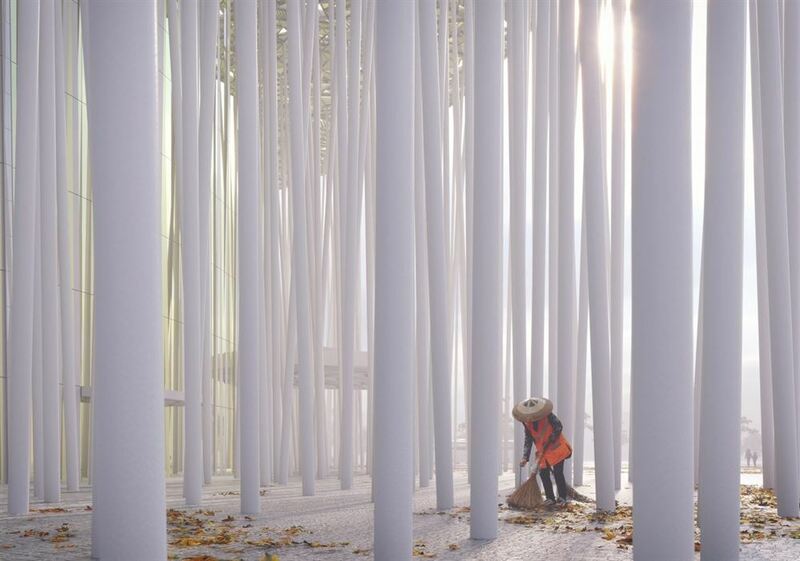 A worker sweeping leaves from between the new theatre’s forest of white columns.